Foot Health Practitioners attend to all of the common conditions that affect the foot and leg. 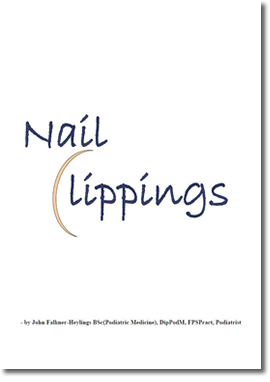 This can range from routine care of the nails, through treatment of verrucas, corns and callus, to functional problems of the foot in gait. Feet are complicated machines. 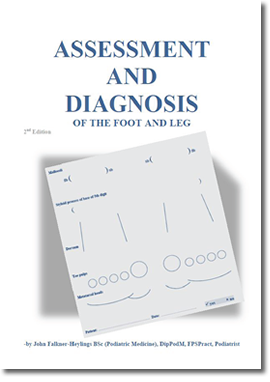 There are a great many foot pathologies, and you will be able to observe and work with many of them at the College. The work is varied and interesting, every patient displaying different conditions and presentations. The incidence of diabetes is rising (diabetics have need of professional foot care) and there are more overweight people in our society (who make heavy demands upon their feet) than ever before. Many young people are into sport and strenuous leisure activities and want 102% from their feet. Some of us simply like to be pampered and feel good whilst others need to be reassured that nothing is going wrong with their feet. All of this means that there is plenty of work and real need of people to do it. 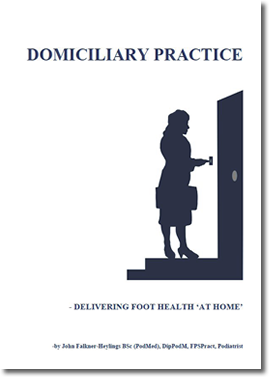 Two basic styles of practice - carrying your professional case to visit people in their own homes and surgery - can be combined in any proportion to suit your pocket, local geography, personal style and your availability. There is great freedom in practice. If you don’t want to work on Tuesdays, that’s your decision. Elderly relative to look after? Children need collecting from School? Can’t leave the dog at home unattended? Your work can be designed around your own needs. Once firmly established, it is up to you how much you choose to earn each week. 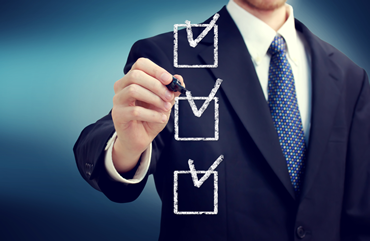 Many of your clients will have need of regular attention, perhaps at six-week intervals. It is inevitable that your clients will look forward to seeing you and regard you as a friend - one that they cannot do without if they are to enjoy any comfort and quality of life. Satisfied patients will recommend you to their neighbours and friends, and you will often find that you are looking after four to five generations within a family. Please note that due to recent legislation we cannot offer training to students from outside the European Union unless they can show residency at an address in the UK. For those from within the EU it is the responsibility of the prospective student to ensure that they will be permitted to practice in their own country on their return. We strongly advise that you check out the situation in your own country before enrolling. Anyone setting out in business should consider set-up costs. This will vary depending on whether you have a surgery, go domiciliary - or both. You will certainly need equipment - perhaps an ultrasonic cleaner, autoclave, instruments, home visiting case, medicaments, insurance and if you decide upon a surgery, a treatment chair, and trolley. The College will advise you of these costs. Self employment is not for the faint hearted but the rewards can be very real. Membership of the Accredited Register of Foot Health Practitioners allows a practitioner to display a mark of quality that commissioners, nursing home owners, potential employers and patients will be advised to look for when choosing a practitioner. Only Accredited Registers that meet their standards are assured by the Professional Standards Authority for Health and Social Care. Practitioners that qualify at this College are eligible for direct listing on the Accredited Register of Foot Health Practitioners. Administration matters to you and us! The best way to begin is with a visit to the College. You can view the clinics and talk to current students, see the coursework and have it explained - and sign-up if you’ve a mind to. The Administrators are very helpful. They will explain the payment options and answer any questions about the course and how it works. The General Office is responsible for the day-to-day running of the College and handles all bookings, appointments and reservations. In addition, administration staff control the shop and supply depot, invoicing, registration, student records and archives, marking, timetables, rotas, accommodation, post and email - and whatever else needs attention. Administrators have a thorough understanding of the course and its requirements. This means that they can answer most questions about the course directly. The books shown below can be useful in your understanding of your course - for further information please contact the College. 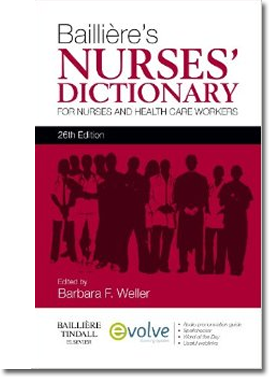 This book is the culmination of 50 years relevant experience in health care provision. 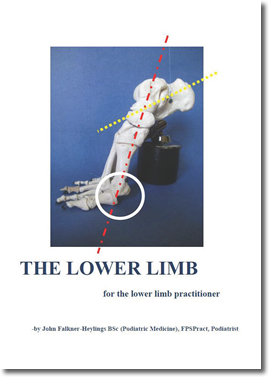 There is a real need for a work that looks at the lower limb from the perspective of the practitioner whose main concern is with that part. Whilst standard works address the leg and foot and treat those parts just as any other part, the practitioner specialising in the lower limb and foot needs to view the anatomy and how it works from a somewhat more pragmatic, rather more functional standpoint. Two complications apply to the lower extremities that do not apply to the rest of the human form. Firstly, the limbs and feet have to function whilst burdened by the entire body weight, taking even greater stress during ambulatory and other dynamic activity. And secondly, the lower limbs and feet are the structures furthest from the heart and are ofter the first parts to suffer from, or demonstrate the effects of any circulatory deficiency.